The Very Best Of Adele For Ukulele features 14 of Adele's best and best-known songs arranged for Ukulele, hand-picked from her two massively successful albums 19 and 21. This exclusive Ukulele songbook includes chord symbols, Ukulele chord boxes, complete lyrics as well as suggested strumming patterns and rhythms for each song. You may think that Adele and the Ukulele don't belong together, but we can assure you they do. Take such a brilliant songwriter as Adele, who clearly knows her way around a catchy tune, and put her together with a fun instrument that is portable, easy to pick up and play and perfect for plucking, you've got yourself a great formula. 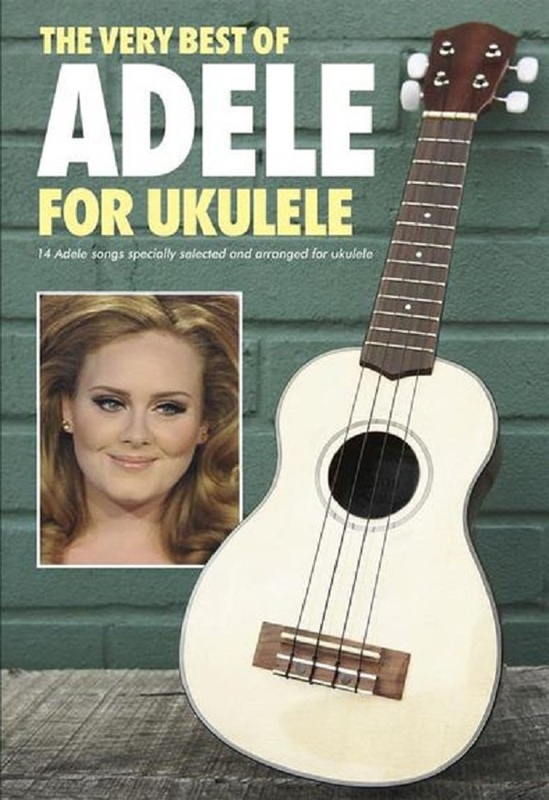 Adele's songs like Rolling In The Deep, Chasing Pavements and Set Fire To The Rain go great with the bright and joyful sound of the Uke, making this songbook perfect for anyone who loves putting a unique spin on established pop songs. Not only is the Ukulele a fun instrument that is ideal for a beach or a park on a summer's day, it's also a serious musical tool that can allow you to bring a new dimension to your performance of Adele's masterful tunes. When people hear you playing these songs on the Uke, it'll make them sit up and listen, being an innovative way of playing tunes that have been covered in the traditional way too many times.